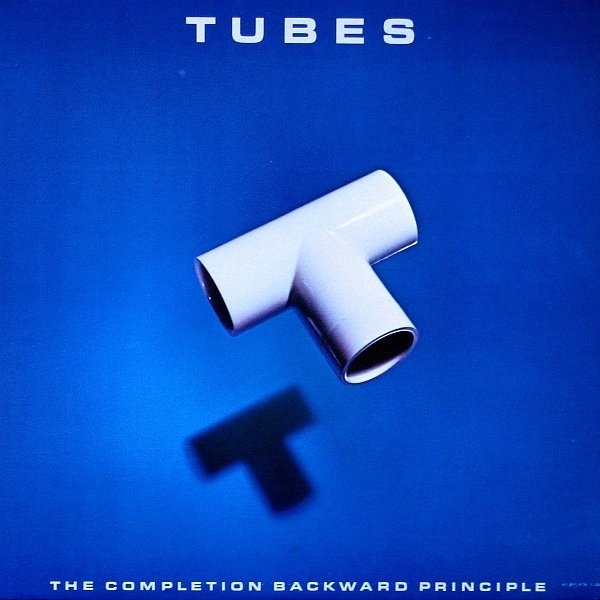 From Loose Tubes to The Tubes. Even as a teenager, I picked up something faintly illicit about this band. A cool friend of my dad’s stuck ‘Attack Of The Fifty Foot Woman’ on a cassette for me alongside Donald Fagen’s The Nightfly and Bill Withers’ Greatest Hits sometime around the late-’80s. I loved it, though it would take me a good few years to find out who had recorded it. A lot of detective work was called for – The Tubes weren’t exactly big in the UK. The band’s earlier career had taken them through glam/punk, Spector-style pop and new-wave rock, but The Completion Backward Principle was the first Tubes album produced by David Foster, a gifted Canadian keyboardist who already had a proven track record as a first-call session player, arranger and songwriter. He had worked extensively on Earth Wind & Fire’s I Am (co-writing the megahit ‘After The Love Has Gone’), Lee Ritenour’s Rit and Boz Scaggs’ Middle Man. According to most accounts, as a producer he was a pretty hard taskmaster, demanding absolute perfection. He wasn’t above telling a band member to go home early and calling in a name session player in his place (which he frequently did during the recording of Chicago 17). But the results speak for themselves. The band had made a quantum leap since 1979’s Todd Rundgren-produced Remote Control. Fee Waybill had turned into a pretty damn good singer. Drummer Prairie Prince is hardly the most subtle player in the world (Jeff Porcaro was surely waiting in the wings) but he’s every bit the human metronome on these songs and plays a blinder on the brilliant ‘Think About Me’. Maybe ‘Don’t Wanna Wait Anymore’ and ‘Amnesia’ sound more like Chicago than Devo but they are subtle, memorable and interesting with great chord changes, while the fairly risqué ‘Sushi Girl’ could have come from Zappa’s You Are What You Is. ‘Let’s Make Some Noise’ even taps into the kind of pop/funk that Let’s Dance took to the bank a few years later. The album is also beautifully recorded, engineered and mastered, sounding superb on my original vinyl copy. I also love the cover concept. The band’s corporate attire and conservative ‘message’ were apparently a satirical take on Reagan’s inauguration and the rise of motivational business concepts. But the smarter the clothes, the weirder the content, as the Surrealists proved decades before. According to this interview with Fee Waybill, The Tubes imploded a few years later after The Completion Backward Principle when David Foster suggested that only he, Waybill and a few outside songwriters should compose singles for the band. He would appear to have a point, that team having co-written ‘Talk To Ya Later’, the Top 40 hit ‘Don’t Want To Wait Anymore’ and the number 10 hit a few years later, ‘She’s A Beauty’. Waybill believes they might have become as big as Foreigner or Journey had they taken Foster’s advice, but it wasn’t to be – the rest of the band vetoed the suggestion and Waybill left in 1985 after the disastrous Rundgren-produced Love Bomb. However, they have continued to be a successful live band to this day. I loved seeing them in 2000 at the much-missed London Astoria.